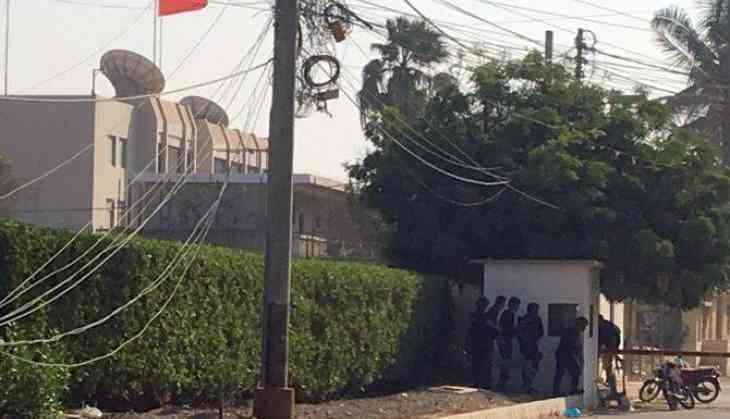 At least two policemen were killed and one other got injured in an explosion and firing outside the Chinese consulate in Karachi's Clifton Block 4 on Friday morning. According to Deputy Inspector General (DIG) South Javed Alam Odho the incident took place at around 9:30 am, Geo TV reported. "Three to four men attempted to enter the Chinese consulate and fired upon being stopped by security guards," sources said. The sources added that the security forces deployed outside the Chinese consulate retaliated to the firing. The blast was heard during the exchange of fire. The identity of the person injured has not yet been identified. The roads leading to the Chinese consulate have been cordoned off and heavy security has been deployed near the area.